Throughout her 18 years at Offleash, Julie has played an ongoing role in gaining awareness and market share for her enterprise technology clients. She develops and oversees strategies for analyst and influencer relations, thought leadership platforms and executive visibility programs, in addition to running operations for the agency. Julie has developed strong relationships with some of the most influential bloggers, thought leaders, analysts and reporters in the industry, and has nurtured and maintained these relationships for nearly two decades. 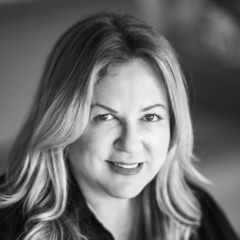 Julie is an avid writer, mentor, and industry speaker and frequent acts as a judge for SVUS/PR World Awards programs. In addition to Julie’s deep analyst relations expertise, her passion is in ‘all-things-app-dev’, with roots extending back to her work with leading players such as Mercury Interactive, Borland, Compuware and Embarcadero, to startups like Neo4j, Sauce Labs, Datical, and dozens of companies looking to differentiate themselves in a busy, innovative market.